We have a van so we could clean gutters anywhere, but we like staying local because it keeps our prices down. 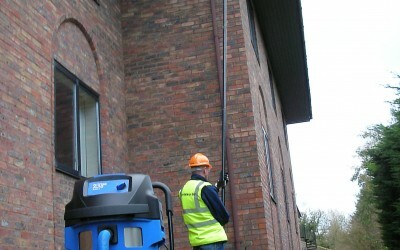 We can clean the gutters of domestic and commercial properties in Wellington, Telford – it’s where we live. No call out charge or mileage. We can get up to three storeys without leaving the ground. Within the Wellington area, we cover Leegomery, Apley (nice houses! ), Shawbirch, Admaston, Brooklands, Arleston, Wrockwardine, Haygate area, The other side of the A5 at the foot of the Wrekin, and of course all those shops and offices in Wellington centre itself. As well as Wellington, we clean gutters in Shifnal, Priorslee, Stirchley, Brookside, Woodside, Madeley, Sutton Hill, Sutton Heights, Ironbridge and Coalbrookdale, Coalport, Jackfield, Broseley, Sutton Maddock, Oakengates, Malinslee, Lawley & Lightmoor (lots of new houses and some tall ones! ), Donnington, Muxton, Newport (Shropshire! ), Lilleshall, Trench, Horton and Hadley. Have I missed anywhere? Oh yes, we also cover Great Dawley! Commercial premises also have gutters that can clog up. We can get to Halesfield, Tweedale, Heath Hill, Hortonwood, Stafford Park and Central Park. If you own the Plaza building in the centre, don’t call. Toooo tall! Wellington is only 10 miles from Shrewsbury, and Newport, Shropshire so we’re happy to travel there with no extra mileage or charges. The price you see is the price you pay.